1. 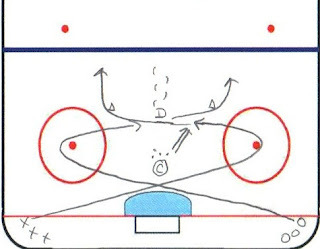 On whistle, the Forwards in the each corner skate for the opposite dot, turn and cut back in the middle. 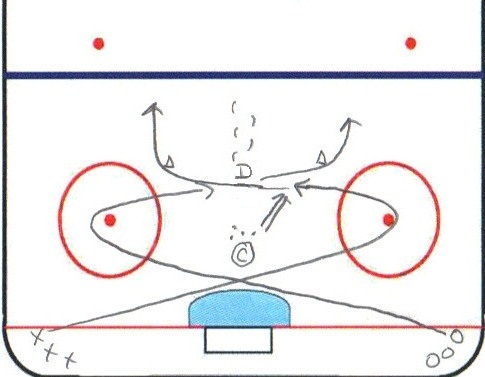 Defense starts to skate backward out of the zone. 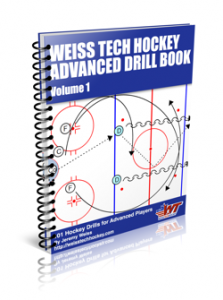 This drill is move for skating and lateral movement and is not recommended as a breakout option. Skating back and forth is wasted movement and moving the puck in front of the net is never a good thing. What I'm trying to teach them is the side to side movement to get open. Most young players want to head straight up the rink.